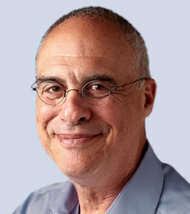 I am a fan of Mark Bittman’s thoughtful columns in the new York Times. He often writes about animal welfare and the impact of livestock on climate, and understands better than most the connection between factory-farming, meat-eating, and these issues. What I find puzzling is that, knowing as much as he does about the catastrophic impact of meat and livestock on both the planet and well-being of animals, he can’t quite bring himself to advocate a vegan diet. Sure, he urges readers to eat less meat, and to avoid factory-farmed meat. But he can’t quite quit meat himself, or make the case for a plant-based diet to his readers. I know, I know, eating less meat is much better than eating lots of meat. And, yes, Bittman is a proponent of a Vegan Before 6 diet. But just because you don’t eat animal protein before 6 doesn’t really mean you can’t–or won’t–eat plenty of meat. You could have a steak per night on that diet. To me, a Vegan Before 6 approach is a little like advocating to an alcoholic a “Teetotaler before 6” strategy. How do you think that would work? The impact of this failure to really go where his logic takes him permeates Bittman’s writing, and it makes it kind of frustrating to read. There are few people more eloquent about the negative consequences of our meat addiction for the planet, for animals, and for human health. But he takes himself and his logic right up to the edge of the obvious conclusion (we, the planet, and billions of animals would be much better off if humans transitioned away from animal protein and toward a plant-based diet) and….stops. A good example is Bittman’s (almost) excellent recent column on last Sunday’s “People’s Climate March.” Once again, Bittman does an excellent job, referencing the views of George Monbiot and the incisive new book by Naomi Klein, “This Changes Everything,” explaining how humanity must address climate change and the scope of the unfolding disaster demands that we change the way our economies and our politics works. Notice what is missing (again)? Confronting the power of corporations in our politics and changing capitalism would be great. And it is necessary. But what is the single most powerful choice an individual can make right now to address climate change? Yep, you got it. Choosing not to eat meat. You don’t need legislation. You don’t need international treaties. You don’t need a revolution. You just need to make one basic change in your lifestyle. And if enough people had the courage and awareness to make that change, the climate disaster would be dramatically reduced. That seems like a sacrifice worth making. I plan to get a lot deeper into this argument in the near future. But it is surprising and frustrating to me that even someone like Mark Bittman, who knows these issues inside out, cannot quite bring himsefl to draw the obvious conclusion. In his column, Bittman quotes Monbiot as saying that with regard to addressing climate change governments “propose everything except the obvious solution.” I kind of feel the same way about Bittman and any number of prominent leaders in the climate and environmental movements. Are you vegan, Tim? Is bug-o-phagy allowed? Otherwise I could not more highly recommend Sun Warrior, Warrior Blend. It’s a case of do as I say not as I do. Or else he’s too selfish to give up his carnivorous ways. Either way, he’s hypocritical regardless of how well he writes.